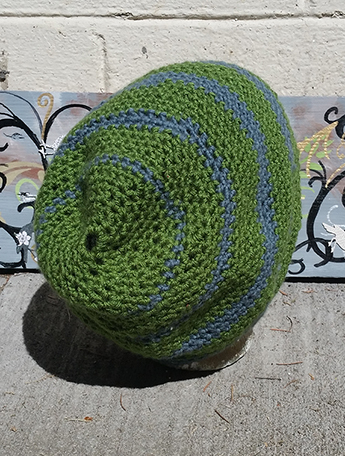 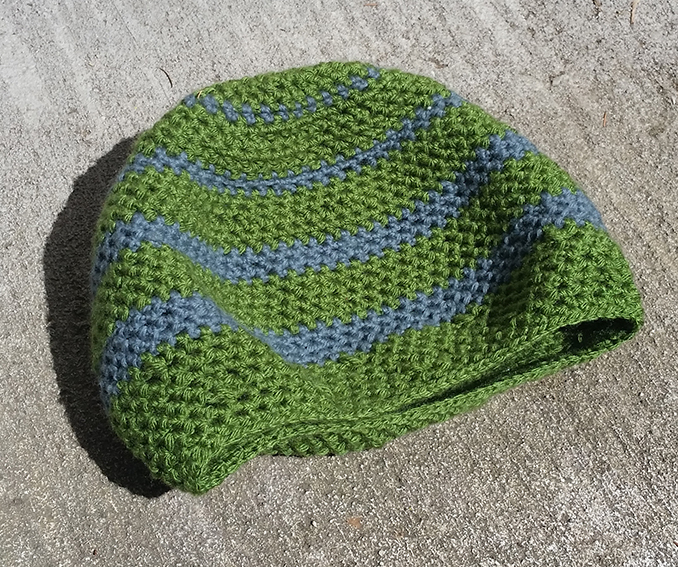 This beautiful tam is made with mostly sea-green colored yarn and a few swirls of ocean-blue yarn. 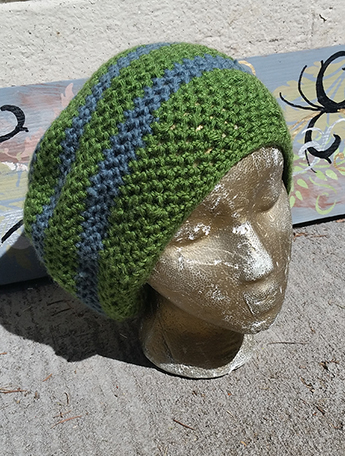 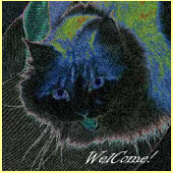 It is roomy and made just right for slouching or for keeping up smaller dreadlocks. 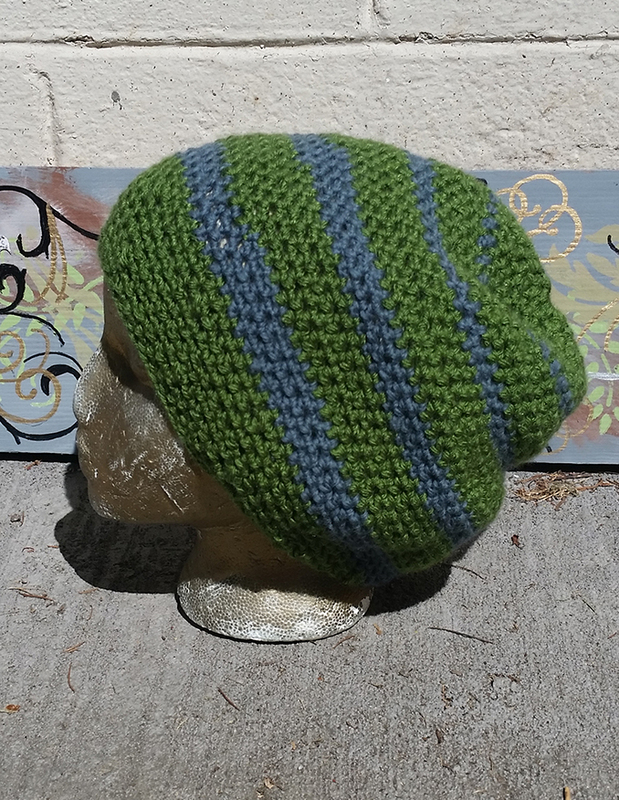 The tam is on the smaller size to fit snug. 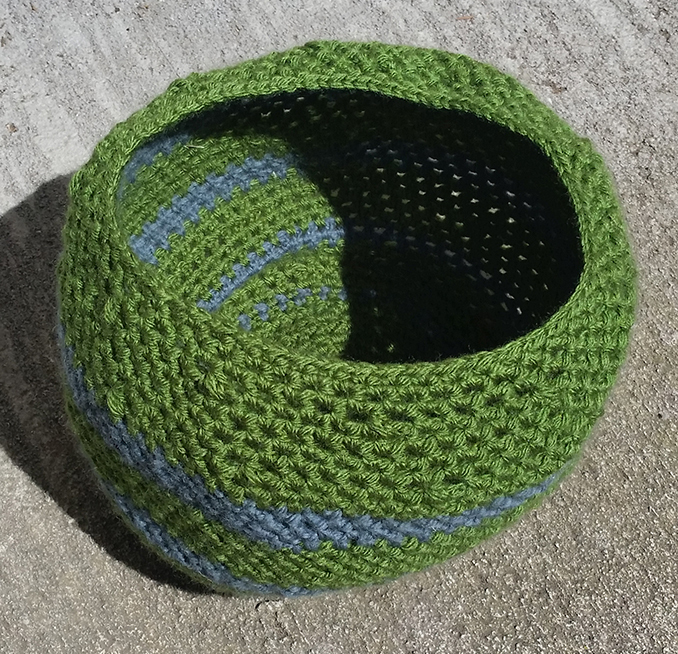 The green yarn is 100% acrylic fibers and the blue yarn is 100% wool.